Above: The group shot of the local photo walk I led in Venice, Italy a couple of years ago — such a great group to walk with, which included my brother Jeff (behind me, far right), and Mimo Meidany (far left), and behind him, Italian legend of love, Roby Pisco. 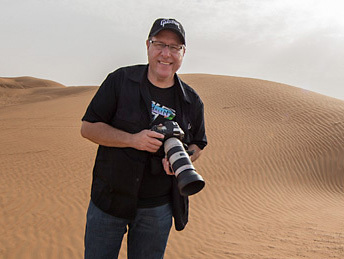 Last week we announced my 11th Annual Worldwide Photo Walk™ (once again brought to you by our friends at Canon, and produced by KelbyOne), and today I wanted to do a quick Q&A to answer some of the questions that are already pouring in. Q. When is the official Photo Walk day? Q. Scott, are you leading a Local Walk again this year? Q. What do you do on a Photo Walk? A. You start by meeting with up to 50 other photographers at a central meeting point. Then a Photo Walk Leader leads the group on a leisurely paced stroll through an area that is photographically interesting; you take lots pictures; you can chat with other folks (photo walkers are very friendly by nature); you laugh, you enjoy being outside with a group of like-minded folks. Then, after around 2-hours, you wind up at a local restaurant, pub, cafe, etc. (chosen in advance by the walk leader), where you can have a meal, some drinks, and make some new friends. It’s a social event, and it’s really a blast (and you get to make some cool pictures, which is always good). Q. Where do I sign up to join a walk in my city? A. Visit the official Worldwide Photo Walk Website, and click the “Find a Walk” button to see if there’s a walk set-up in a city near you. If there is, and there are spots still available, you can sign up right there for free and join that walk. If there isn’t a walk in your city, maybe you can start one and lead it yourself (more on that in a moment). And if you don’t see any in your area, keep checking back because new walks in new cities are being added every day. Q. Why isn’t there a walk in my city? A. We don’t choose the cities. Photo walks take a place in a city because a volunteer in that city contacts us and says they are willing to form and lead a walk. Any city can have a walk — it just takes the right person in that city to volunteer to organize a walk. They can apply to lead a walk on the official site. A. There is no fee — it’s totally free. Q. Does the walk have a social mission? So, if you could donate just $1 when you’re on the site that would be awesome (and you’ll be helping more than you know), but again, it’s totally optional. By the way, you can give more than a buck if you’d like — some folks give a $hundred — we’ve had folks donate a $thousand, which of course, just makes our head explode with joy! Q. What happens when a local walk fills up? A. We have a waiting list for each sold out city, so if someone cancels, it automatically adds (and notifies) the next person on the list. Q. How many is full? A. Each Photo Walk is limited to a maximum of 50 photographers. If that doesn’t sound like a lot, you haven’t seen 50 photographers coming down the sidewalk at the same time, and later all converging at once on a restaurant or pub. It’s more like a scary bike gang (except without the bikes, or gang, or scariness). Q. Why do we limit each Photo Walk to just 50 photographers? A. Click here for the explanation. Above: That’s a group shot from the walk I led in 2013 in Rome. Hey, I see Serge Ramelli next to Kalebra and me! Q. If I led a walk last year, can I lead a walk again this year? A. We would love that! Check your email inbox — we sent out invitations already to last year’s leaders, so keep an eye out for it. Q. Is there a photo contest again this year? A. Absolutely! The best photo in each city (as chosen by your local Walk Leader) wins a prize (we’re working on just what that will be right now). From those local walk winners I will choose 10-finalists, who all get great prizes, and then I choose a single Grand Prize winner, who just gets an insane amount of stuff. Q. I see on the site that Canon is the Sponsor. Does that mean the Grand Prize might include a camera and a lens? A. I would think yes! A separate post is coming on all the awesome prizes we have lined up for this year. Q. Do the 10 Finalists win? A. You bet! I’ll be listing them in my upcoming post on all the prizes for the walk. Q. Do I have to enter the prize competition? A. Absolutely not — it’s totally optional — you don’t have to upload even a single photo for the contest). Above: That’s the group shot of the local photo walk I led in Sydney, Australia in 2015. We started our walk at the world famous Sydney Opera House. Q. Are any cities with Photo Walks organized yet? A. Yes! We already have walks set-up all over the world, with more being added every day! There are walks all over the world who would love to have you join them! Above: That’s my group shot from my Tarpon Springs Photo Walk a few years back. My wife and I made a very dear friend in that photo walk. Above: That’s a group shot from my London Photo Walk two years ago. Dave Willaims and Peter Treadway are in there somewhere. Two top men. My friend Bryan is in there. So is Brad. Mike is there, too! Looks like Cathy Baitson snuck in there as well. Lots of cool folks, and lots of great memories. Q. How can I lead a Photo Walk in my area? A. You apply over at the official Worldwide Photo Walk website — just click on the “Lead a Walk” button (or just click here). Q. What does it take to become a Photo Walk Leader? A. We’re looking for people who have experience leading groups, so if you’re the president of your local camera club, or a college teacher, or photography instructor, or you run a local camera store, or you’ve lead Photo Walks in your area before, so you’re familiar with keep a group of up to 50 people happy, safe and healthy, etc., you’re likely to get accepted fast to be a leader. We ask for your qualifications on the leader application, and that’s the type of experience we’re looking for. Q. What if my city already has a Photo Walk, but I want to lead a walk, too? Above: That’s my group shot from my Paris, France photo walk. Yes, that’s is our friend (and Photoshop World instructor) Serge Ramelli standing next to my wife Kalebra. You get extra points if you recognized Serge from my Rome walk group shot as well. Q. Is there a separate Contest For Photo Walk LEADERS? A We have that, too! It’s our way of honoring the photographic work of our dedicated and talented leaders. The best image submitted from a leader will win an awesome prize package as well. Q. Do we have cool t-shirts for Walkers & Leaders? A. You betcha! Here’s the link. (order yours right now so you can wear it during for the walk and look all cool and everything, like the model you see in the photo above — but even cooler). 100% of the profits from the sale of these t-shirts go directly to the Springs of Hope Orphanage in Kenya for the feeding, medical needs, clothing, education and care for these great kids. Last year we raised nearly $5,000 just from these t-shirt sales alone (imagine how much $5,000 alone means to a small orphanage). Here’s the link to the t-shirt store (they come in multiple styles and colors). NOTE: We have special LEADER shirts as well (Leaders — we’ll be posting a link on your leader’s dashboard). Above: OK, not exactly a posed group shot, but it is my group, seen here in a behind-the-scenes shot from the very FIRST Photo walk ever — back in 2008 – this one is in Dunedin, Florida. Q. I want to know more about this Photo Walk thing. Where do I go? A. There’s an FAQ on the Website (here’s the link) but it’s a lot of the same stuff I have here, but there is some contact info if you need to get in touch with us directly. Q. Where do I go for the latest Photo Walk information? A. Stay up-to-date by following us on our Twitter page and Facebook Page (If you talk about the walk on social – we would love it if you would include the hashtag #wwpw2018). Plus, I’ll be sharing some tips and techniques videos here, along with other fun stuff to get you ready for the big walk on Saturday, October 6th, 2018. I hope you join us this year as we “Walk with a Purpose” to help the Springs of Hope Orphanage in Kenya and as we make worldwide photographic history once again!